Atrial fibrillation is not really a household word and yet it is the most common form of irregular heartbeat, or arrhythmia. When this happens, disorganized electrical signals reach the two upper chambers of your heart which are called atria. Fibrillate simply means to contract quickly, in an irregular way. When atrial fibrillation occurs, blood can start to pool in the atria. The heart is unable to pump this blood into the two lower chambers, or ventricles. Pretty soon the upper and lower chambers are working off schedule and out of synch. Atrial fibrillation can happen with or without symptoms. It’s a risky condition in that it can lead to a stroke or even heart failure. When someone experiences atrial fibrillation, they could wait a long time before it happens again. For others, this type of irregular heartbeat can be an ongoing problem for years. To understand atrial fibrillation, it helps to understand the heart’s internal electrical system. We don’t really think of the heart as something that “runs on electricity,” but it does. It is the heart’s electrical system that controls the rate at which your heart beats and also its rhythmic pattern. Every time your heart beats, an electrical signal spreads out from the top to the bottom of the heart. It is this travelling electrical current that causes your heart to contract. The contracting motion, in turn, pumps life-giving blood through the chambers of your heart and out into the rest of your body. The process is elegant in its simplicity. There is a group of cells called the sinoatrial, or SA node. Every electrical signal begins in this node. The SA node sends an electrical signal to begin a new heartbeat 60 to 100 times a minute. This process repeats itself over and over again. Many seniors find themselves suffering from atrial fibrillation, which can be challenging enough to deal with. Now a new study is suggesting that there may be a link between atrial fibrillation and memory decline. For the study, data was collected on 5,000 seniors. 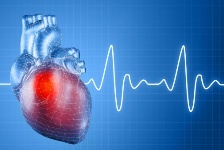 During seven years of follow-up, 550 people developed atrial fibrillation. Throughout the study, the researchers conducted memory and cognitive tests. Gradually, through the course of administering these tests, the researchers began to discover that those with atrial fibrillation were more likely to have lower scores. The researchers suggested two possibilities why seniors with atrial fibrillation may have memory problems sooner than those without atrial fibrillation. It could be that the condition causes small blood clots to form in the heart. These tiny blood clots then travel to the brain where they eventually get trapped somewhere. The blood clots aren’t big enough to cause a stroke, but could contribute to cognitive decline over the long term. The other reason why atrial fibrillation might affect memory and thinking skills is that those with atrial fibrillation might have less blood flowing to the brain. In either case, the researchers think that treating atrial fibrillation patients with an anticoagulant could help to reduce any mental decline associated with this form of arrhythmia. “Irregular Heartbeat May Speed Memory Loss in Seniors,” MedlinePlus web site, June 5, 2013; www.medlineplus.com, last accessed June 12, 2013. Thacker, E.L., et al., “Atrial fibrillation and cognitive decline: A longitudinal cohort study.” Neurology. June 5, 2013.